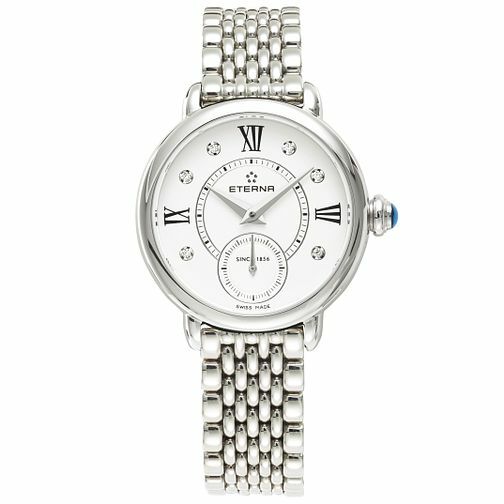 The all new Lady Eterna collection continues a long tradition of designing timepieces exclusively for women. This petite and feminine 28mm cocktail watch is adorned with 6 diamonds on the art deco dial and features a stainless steel case that houses a Swiss quartz movement. 50m water resistant.